Saskia Ostermeier and Betty Brown from All-in-Flex have both been in the sport for many years and recognise the huge contribution made by Judges and Volunteers so vital to the existence of our sport. At many events there are nearly as many judges and volunteers as there are competitors when it’s all added up. The All-In-Flex aim is for an increase in area group awareness and recognition of the contribution that these two groups make to the sport and their goal to have EVERY area group nominate both a Judge and a Volunteer. Dressage recognises a Judge and Volunteer of the Year at the Annual Awards Dinner from nominations received from areas. 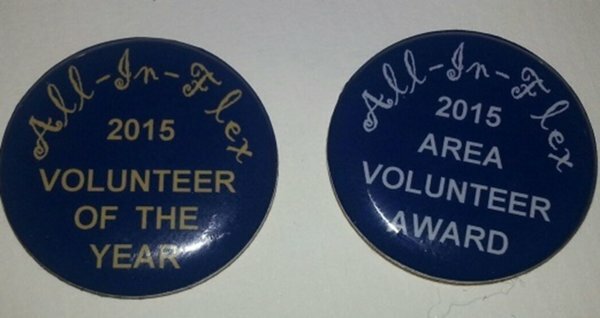 All-In-Flex have committed to provide product prizes and a special memento for all nominees in both Judge and Volunteer categories for 2016. Dressage and All-In-Flex look forward to being able to recognise this group of special supporters of dressage.